Went on the Troops Home demo today. Marched from Speaker's Corner in Hyde Park, to Trafalgar Square. Was good to see Tony Benn and George Galloway at Trafalgar Square. The fair-haired gentleman at the front of the demo, wearing a poppy, was the chap whose son was killed in Iraq and who refused to shake hands with Tony Blair at a ceremony because he had "his son's blood" on them. 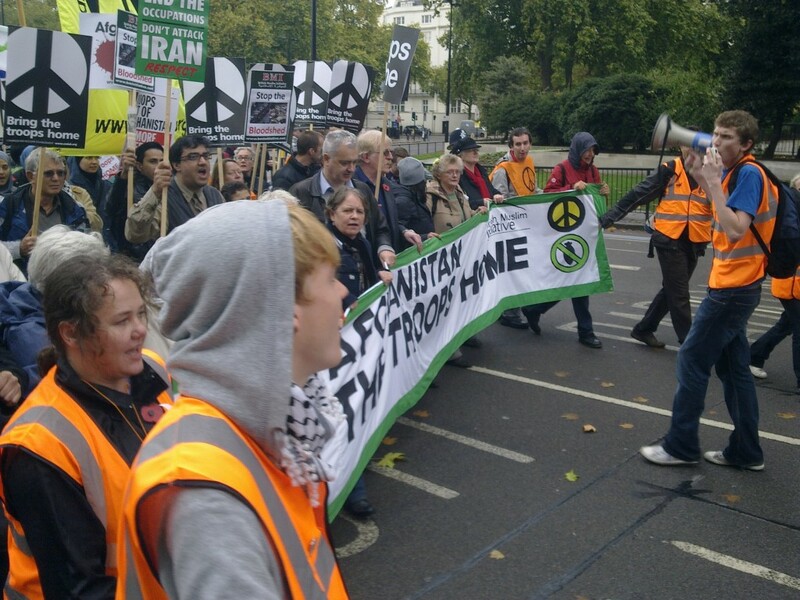 Stop The War are holding their national demonstration on Saturday, October 24th, 12 noon. There will be a march from Hyde Park to Trafalgar Square. They will demand the withdrawal of British troops from Afghanistan. Quite right too. It is an occupation, and we have no right to be there. I am working with a charity London for London, which is a new charity set up by two young Londoners, Ryan Kohn and Laura Fraser, which aims to unite every nightclub, bar and pub on October 3rd so that anyone who goes out that night and walks through their doors are asked to pay a �1 donation to LFL. All the funds raised will be used to support three organisations whose work addresses violence amongst young people (Kids Company, Metropolitan Police Cadets and Capital Radio Help A London Child). They have a huge number of venues supporting the charity and event (ranging from the Nick House venues to venues such as Cargo in Shoreditch, etc, see the website for the full list at www.londonforlondon.com). They also have huge support from personalities such as Prince William, Sienna Miller, Lisa Snowden, Lauren Laverne and Boris Johnson. Isis against a blue September sky! There's a nice new sculpture in Hyde Park, Isis by Simon Gudgeon. It was unveiled yesterday. 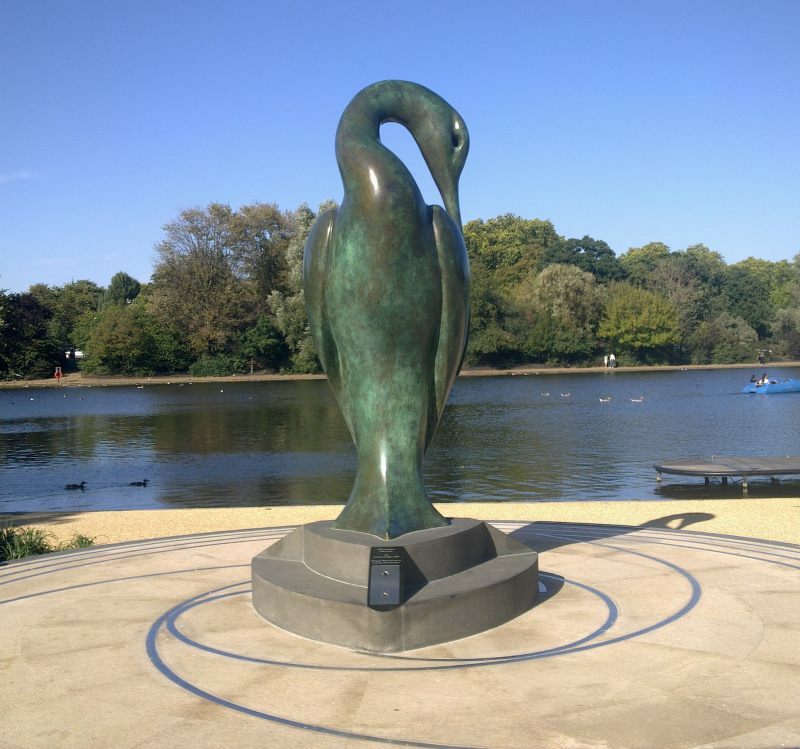 It's right by the Serpentine lake, next to the Diana memorial fountain. It's being used to raise money for charity. You can get your name inscribed on the metal swirls you see at the base, for �1,000. The good cause is the Royal Parks Foundation. The funds are being used for a new children's education centre, The Lookout. It was a glorious sunny day when I viewed it today. 27 degrees. Pretty good for September! 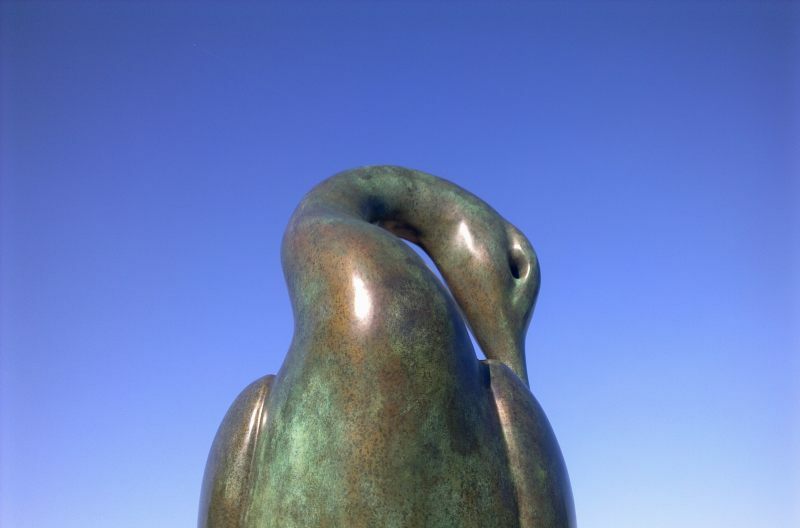 The sculpture has been kindly donated to the park by the Halcyon Gallery, Mayfair. They are doing a lot of work around South Kensington station just now. 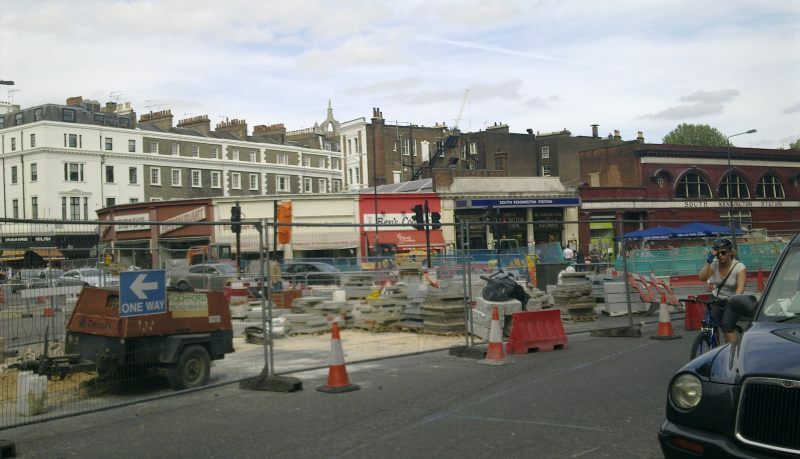 They are pedestrianising the area from the station up to the museums on Exhibition Road. The idea is to make it more tourist-friendly. It is certainly welcome. The north exit from the station (Thurloe Street) was previously a nightmare, exiting via a bottle-neck right into the bus shelter! That road is now closed, and already it makes such a difference. The works are scheduled to last for a couple of years. 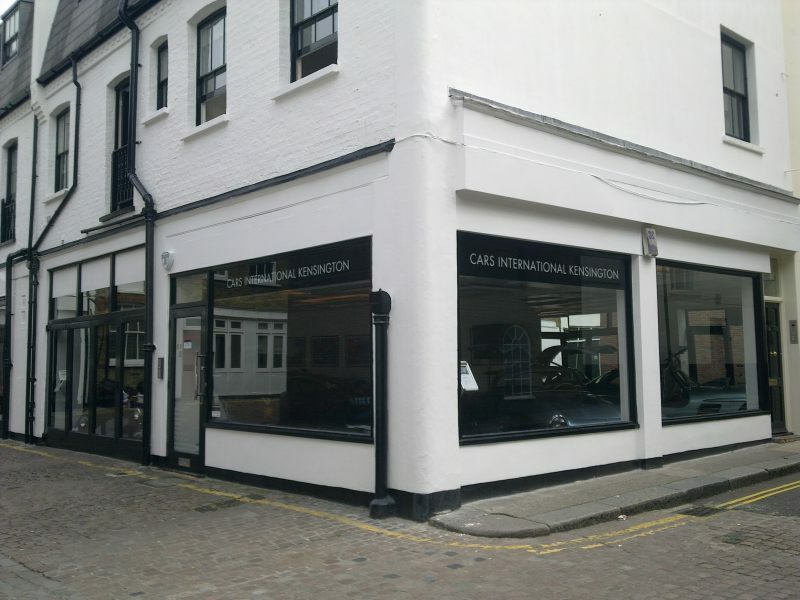 Cars International in Kendrick Place, South Kensington are purveyors of the finest cars in the world. Sounds like an ad, but it's just my take on it! 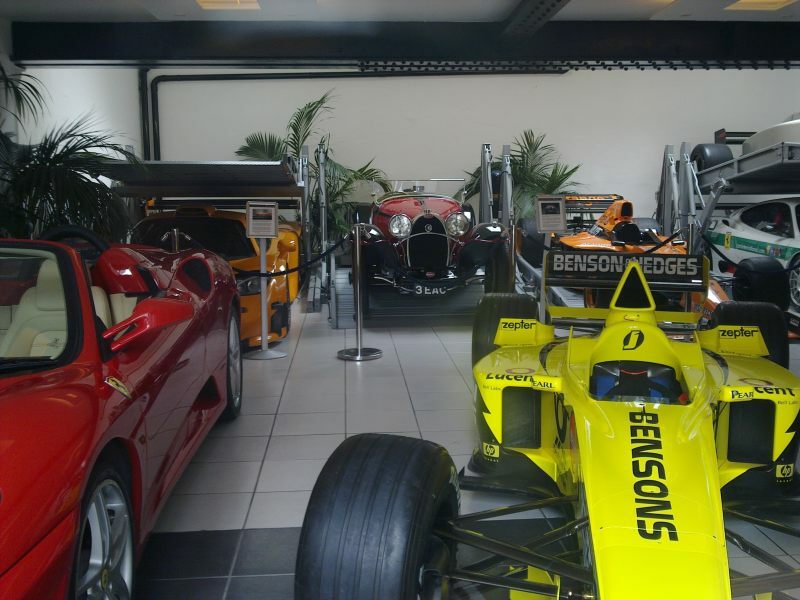 They specialise in real classics, Ferraris and F1 cars. Took these pics today whilst waiting for my Y-fronts to dry in the nearby launderette. 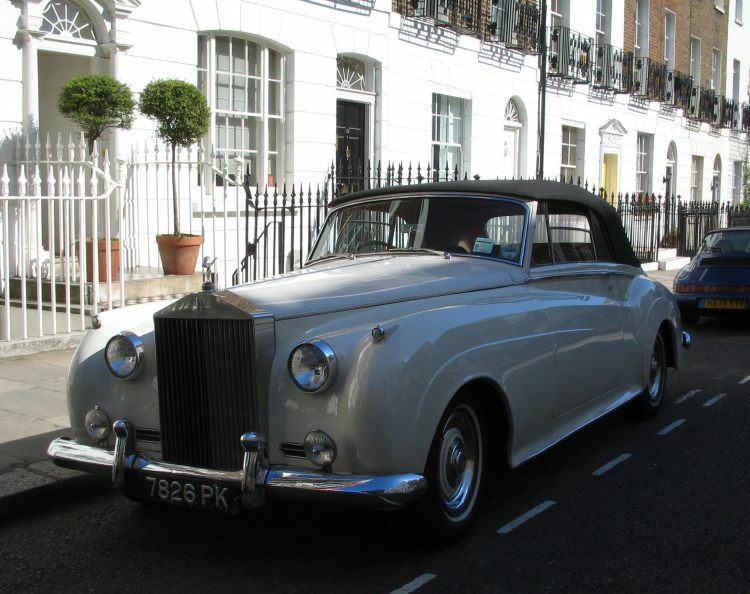 The showroom is just off Old Brompton Road, but many a soul would pass down that road without knowing they were there. A real treasure! They have got a Bugatti in just now. Yes a Bugatti, a proper one! See the pic opposite. I don't know the asking price but I would think seven figures. Stuck in traffic on Cromwell Road, opposite the Natural History Museum! Came across this scene of a crime. 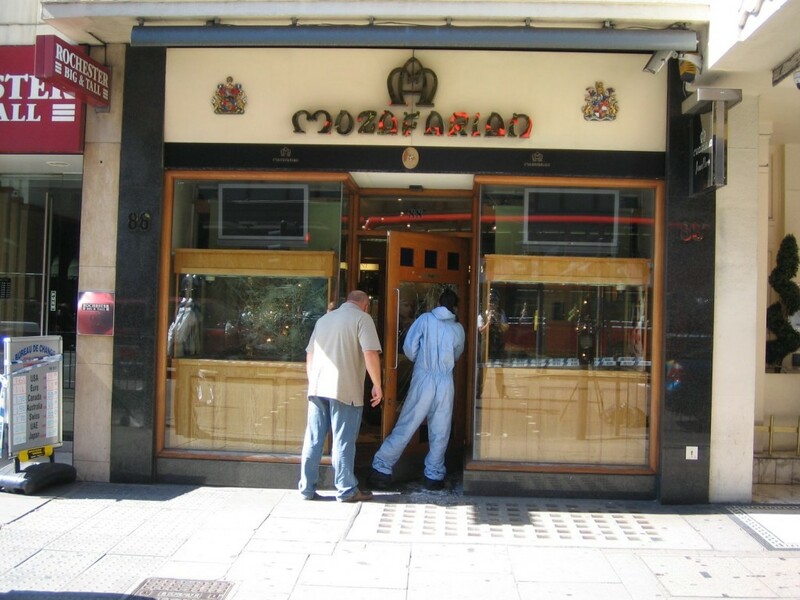 It's the Mozafarian Jewellery Shop, 88 Brompton Road, right across from Harrods. Some windows had been smashed. Spoke to a copper at the scene, who reckoned the robbers got away with some stuff. The girl in the picture is taking fingerprints. You can see the smashed windows. 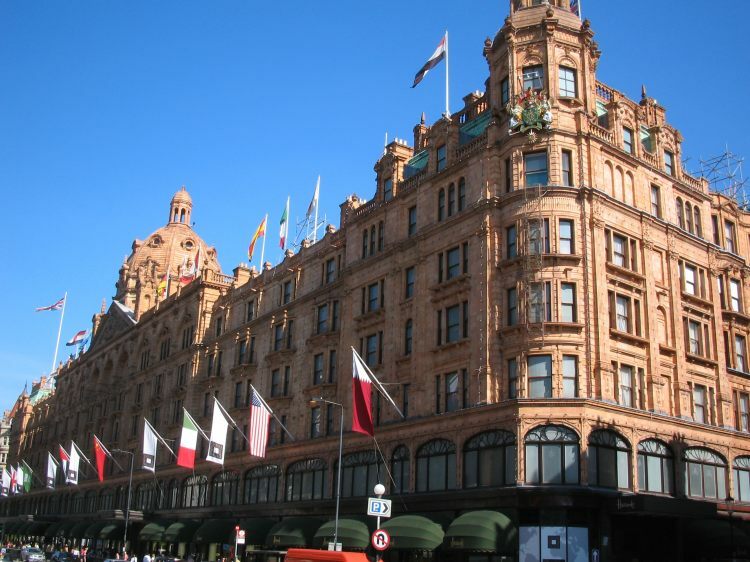 There has been something of a spate of such robberies in and around Knightsbridge. I suppose for the thug/thief it's tempting to see such expensive stuff, apparently within grasp. Fcuking loonies. 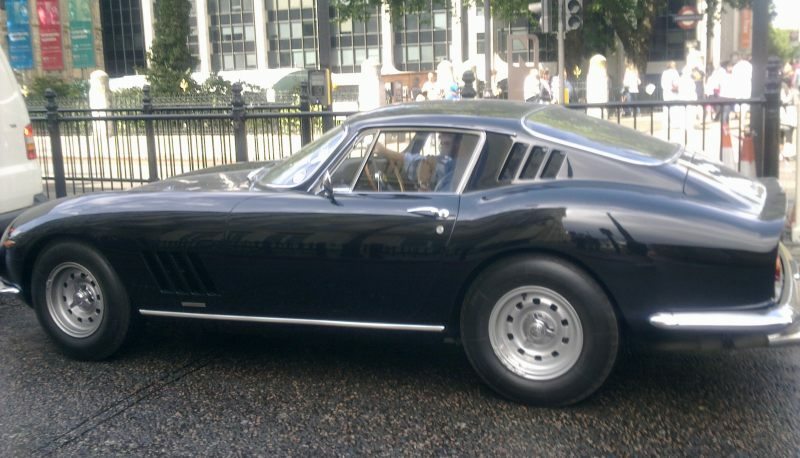 Spotted this beauty in Montpelier Street, Knightsbridge. Glorious sunny day today! 30 degrees they reckon!